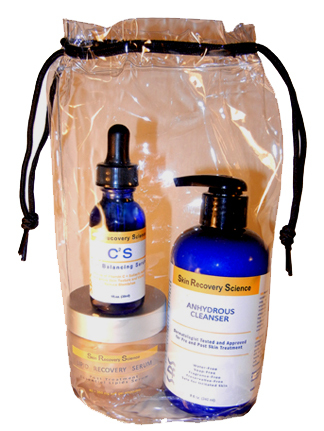 All the products needed for post-treatment in one kit! Contains Anhydrous Cleanser for cleansing very sensitive skin; Lipid Recovery Serum to protect treated skin, reduce erythema and moisturize stressed skin and C2S Skin Balancing Serum to repair skin by boosting collagen production, reduce oiliness and keep skin smooth and soft. Contact our exclusive distributor, Med Spa Distributors, for special promotion pricing on this kit until February 2014.